As the saying goes, it is easier to keep a customer than to gain a new one. Typically, there is far less time, effort and money needed to maintain a relationship, as opposed to attracting new leads. According to F.F. Reichheld in The Loyalty Effect (Harvard Business School Press), repeat clients tend to spend more money over time, offer more customer referrals and word-of-mouth recommendations, make fewer demands on service professionals, and can even lower your business costs since they’re cheaper than acquiring new customers. A recent NAR report shows that 85% of home sellers surveyed said they would use their Realtor again, but only 25% of them actually did. Further, the average Realtor reports that repeat clients account for 21% of their annual business. What do these stats tell us? We have a lot of room for improvement when it comes to staying in touch and providing value after the transaction is complete. The truth is, customer loyalty leads to repeat transactions. We have seen this in our own shopping habits. When we like a product or service, we tend to stick to that product or service for the long term. Even better, when the product or service is a truly great experience, we tell others about it. This is the ultimate goal of marketing in your business – to create customers who then create more customers. We get it, not every one of your clients becomes Facebook friend-worthy, but consider this: 44% of sales professionals indicate that social media is their greatest driver of customer retention. Consider creating a private Facebook group exclusive to your past clients, and use it as a place to share giveaways, local info, and insider tips. Perhaps invite your past clients to follow an Instagram account where you share the best community hangouts, restaurants, kid-friendly activities, etc. The possibilities aren’t limited to your personal social accounts. If you aren’t sending a regular email newsletter to your past clients, get started on that. Stat. This is one of the easiest and most effective ways to stay visible and valuable. For the very best results, be consistent and keep your audience foremost in your mind. No one wants or needs a monthly email about you, but a monthly email telling them about market stats, comparable sales, renovations that are adding value, and trusted service providers will always be appreciated. Good old fashioned face to face communication isn’t dead yet. 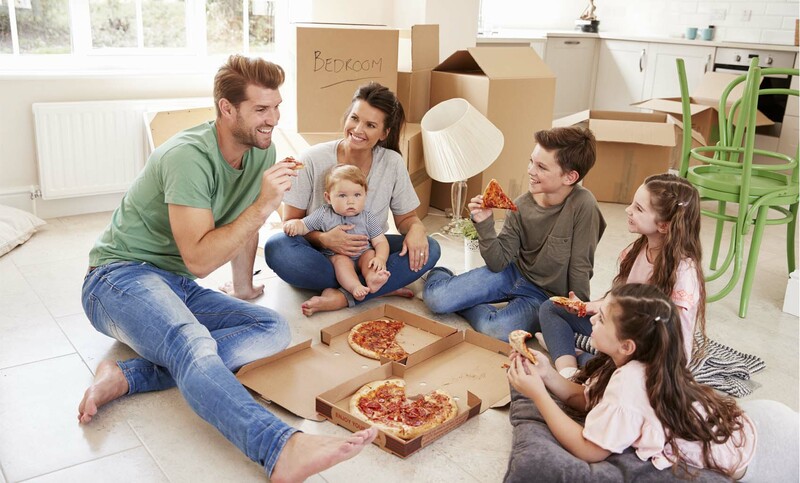 A Realtor that shows up on moving day with a pizza will be the most welcome thing in the world. A Realtor that shows up before a holiday with a pie is never turned away either. People are busy and coffee appointments aren’t always practical, but a quick drop by with a gift is always a treat. Hosting a client event doesn’t have to be super complicated or expensive, and it’s a fun way to get face time with your clients. Consider a pumpkin giveaway with cider and doughnuts in the fall, or an afternoon movie matinee for families. Easter egg hunts, pet owner meetups, and sledding parties are all opportunities to show your appreciation. Include a fun backdrop and invite your clients to have a family photo taken as well. You may find that your event becomes an annual tradition. Don’t forget the power of a handwritten note. Use your CRM or database manager to record details about your clients like anniversaries, birthdays, and special occasions. These are the perfect reasons to reach out, send a card, or drop a postcard in the mail. Hint: don’t forget the furry family members! A card to Fido with a gift card for pet treats will go a long way with Fido’s owner! We typically spend far more time and effort chasing new leads than we do nurturing relationships with the contacts we already have. As you plan your marketing efforts for the next quarter, consider adding some love for your past clients. You are sure to see the results of these efforts far into the future.